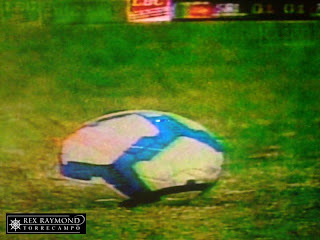 The mystique of the Azkals is simply unbelievable. Before kick-off, television cameras showed blue-clad Filipinos who now – I suppose – we should refer to as the travelling support. I do not recall when such a large contingent of Filipinos flew all the way to a strange land to support a football team. Some – said the commentators – flew in from as far Dubai; some from Thailand; some from Malaysia; and then, of course, there were those who flew all the way from Manila. There were, dispersed as we are by our version of the Diaspora, naturally Colombo-based Filipinos as well. Some waved Philippine flags. There is always something that pinches my Pinoy heart when I see the red, white and blue proudly waved in distant shores. My word, I hope the bubble does not burst soon! Looking at the Sugathadasa Stadium, for a moment I was tempted into thinking that it was Manila just a year ago. The bleachers were next to empty. The commentators, trying to make something of the lack of enthusiasm among the home fans, pointed out that slowly, the crowd was becoming less sparse. If that was not euphemism, then I do not know what is. Of course, all of us football fans in this country now can die happy men. Only Emelio Caligdong of the starting line-up can be said to be an authentic Made in the Philippines product and of a hundred per cent original Filipino materials. Yet, when the camera panned across the line when the Lupang Hinirang was being played, everyone was singing the national anthem. Flashback to Cambodia just October last year during the AFF Suzuki Cup qualifiers; as I said in a previous blog post, you could immediately tell who were pure Pinoys because those who were not could not sing the anthem. Albeit, I could have sworn Neil Etheridge was trying hard not to break out into a grin… Bless the lad for trying; I suspect he was struggling to remember some of the words. 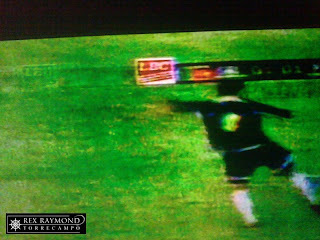 Too bad the Azkals could not lift their game above the pedestrian. The Filipinos started like a house on fire, surging into the Sri Lankan half from the kick-off. However, as the first half went on, the Filipinos started to depend too much on the long ball out of defence. To be fair, there were a few chances created. Twice, Phil Younghusband snapped at these and could have scored at least a goal. 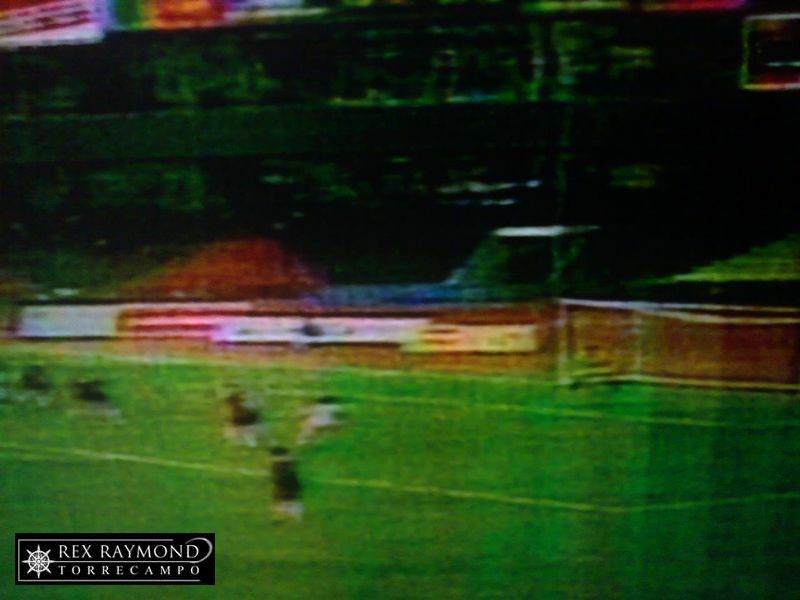 In the 24th minute, after good work by the outstanding James Younghusband, brother Phil was sent through on goal with just the ‘keeper to beat. The angle went against Phil but he should have scored, nonetheless. Phil had to be substituted midway through the first half after an apparent injury. The referee from Bangladesh needed to take another seminar and never really got a good grip on the game. Some of the physicality of the Sri Lankans was so apparently over-the-top. Unfortunately, Phil – who was already carrying something of a knock according to the commentators – took a bit of battering in the short time he was on the pitch. Sri Lanka was playing primarily on the break; but found itself a goal to the good in the 40th minute. 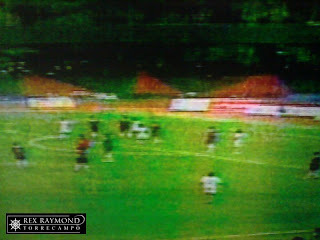 A foul was conceded some 35 yards from the Philippine goal. It still really needed a special shot to score from that distance. 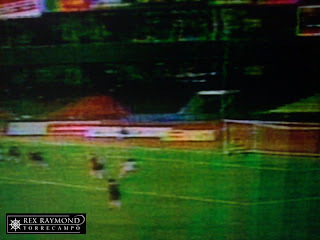 But the Filipino wall looked loose and the shot took a deflection on the way past Etheridge’s desperate diving arms. The Sri Lankans almost doubled the lead with an over-the-top ball that caught the Filipino defence flatfooted as the first half drew to a close. Etheridge, who had his obligatory howler in the 23rd minute when he left his line undefended, redeemed himself by catching the shot clean. 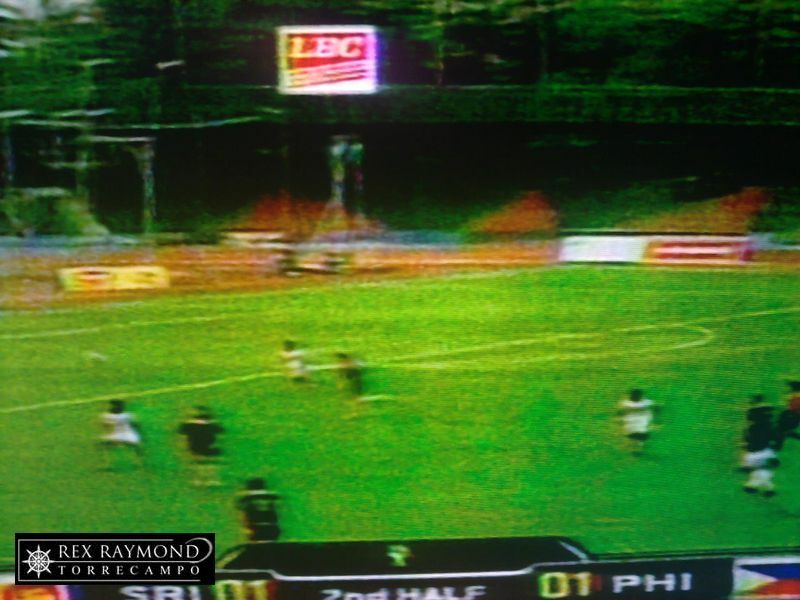 The Filipinos went on the front foot – just like they were for most of the opening half – when the second half started. The team tried to play the ball around more than they did in the first half. 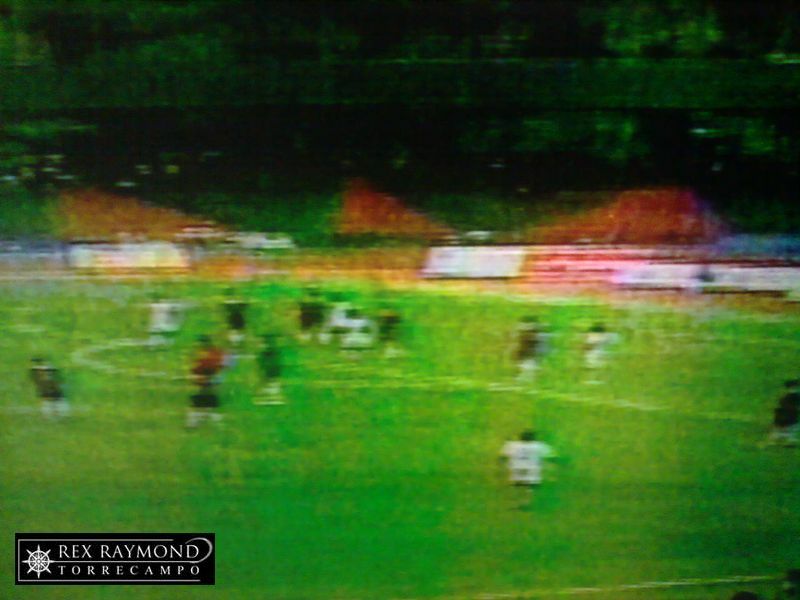 It was still from a dead ball situation that the Filipinos got a crucial equalizing “away” goal. 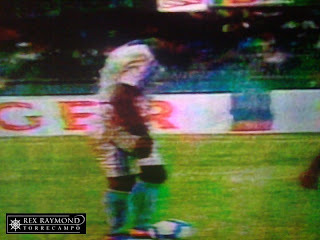 Caligdong lofted a freekick deep into the Sri Lankan goal. The ‘keeper flapped and the ball hit the crossbar. From the rebound, Nathaniel Burkey pounced with a simple tap in. The Sri Lankans, knowing that they had conceded a goal on home soil, began to push forward more as the second half wore on, stringing together passes in a manner I would have liked to see our boys do as well. Instead, as in the first half, the Filipinos resorted more and more to the long ball. Sometimes the ploy worked; as when Caligdong got behind the Sri Lankan defence in the 56th minute. His final touch, though, let him down; and the Sri Lankan ‘keeper collected comfortably. A draw seemed only the appropriate result, but Etheridge in fact had to make a diving save in the 89th minute after the whole Azkals defence had gone to sleep. It was not pretty to watch; but a 1-all draw to take to the home leg at the Rizal Memorial Stadium next Wednesday is still a terrific advantage. I do not think the Rizal Memorial will have a sparse crowd; so I hope the sell-out will be noisy and will unnerve the visitors enough to enable our boys to have this done and dusted. Just to share some thoughts on the match. First, that Fil-German Stephan Schrock is an outstanding find. His partnership with Manny Ott looked well-balanced. 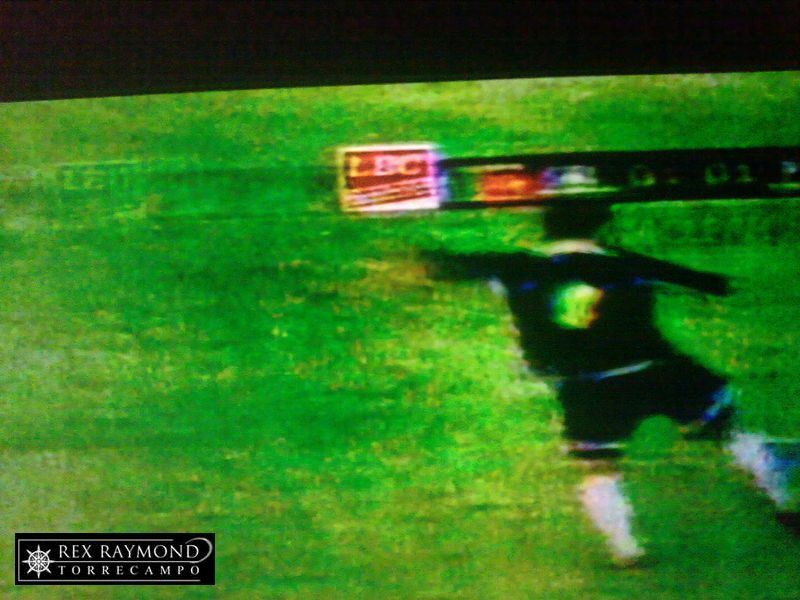 Schrock was not only feisty when the Philippines was trying to win the ball back from the opposition; but he was also capable of exquisite passes. One chipped pass to Araneta in the second half could easily have been a goal. Ott, on the other hand, was similar to Jason de Jong in that he was always quietly mopping away threats in midfield. I felt we were too narrow for most of the match. 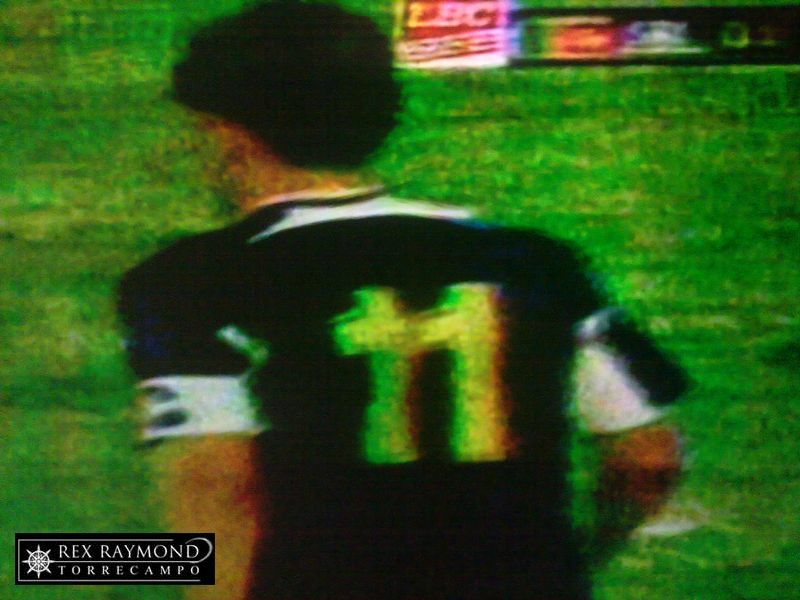 James Younghusband played outstandingly on the right wing; but he was almost always going on his own without support from team-mates. Dead ball situations apart, I did not think Caligdong delivered the sort of juicy crosses with which he tormented the Mongolian defence. I think the lads need to bed in some more, as can be expected when players come from all over the world and are still learning each other’s moves. For most of the match, they all looked like they had not been properly introduced. I am at a loss to explain Angel Guirado’s role in the team. His control is excellent; passing not necessarily so. When the line-up was announced, I was hoping Guirado would play the role of the tall target man from which Phil Younghusband could feed off scraps. Something like the Andy Carroll-Luis Suarez partnership at Anfield. Instead, it was Phil who was playing as the point of the arrow; and I think he is too small to perform that role. Guirado, on the other hand, would have been perfect. Ditto the equally tall Nate Burkey. I would have liked the roles reversed with Guirado playing with his back to the goal and Phil given a free role to move around him and even drop down to midfield. As it was, surrounded by defenders in tight areas in front of goal, it was almost inevitable that Phil would get a mauling. Guirado also liked to drop down into midfield, where I felt he was less effective – and since we were playing too many long balls, anyway. That said, we now know the advantage because the match is over. A wily European or Latin American side would have closed up shop at 1-nil and then gone all out in the return leg at home. Or even started the game tight at the back, since the Sri Lankans were the home team, anyway… Chasing the game could have cost us on the counter-attack; and any player will tell you that going on the attack is immeasurably more tiring than sitting back in defence. As things were, the Sri Lankans were weaving passes more efficiently than we were in the second half because I thought our boys were really starting to get tired. Under such hot and humid conditions in Colombo, a bit of conservatism could have been to our advantage. Not to mention some much-needed tactical nous when Kuwait comes visiting if – and when – we get past Sri Lanka.